Life is never dull at Mayville. We offer over 30 clubs and societies to support our curriculum and excite children, across a diverse range of activities. 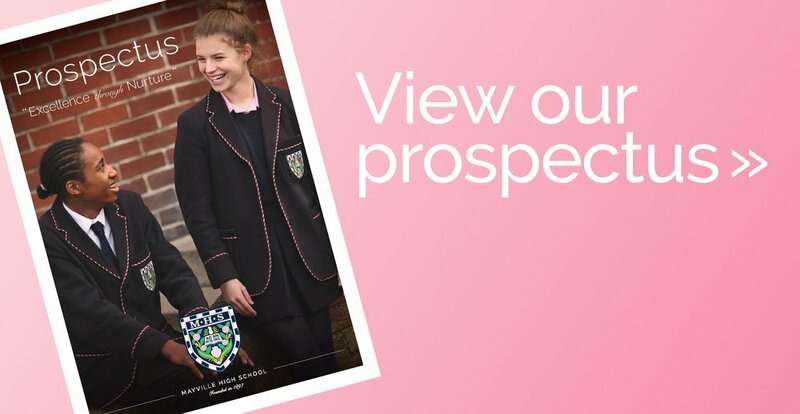 Whether pupils choose to enhance the sports and creative arts already embedded within the timetable, or take advantage of the chance to try something completely new, our pupils are never short of opportunities to challenge themselves and broaden their horizons in the local community. Pupils can explore their creative imagination through Art, Drama, Dance, Music or perhaps through Musical Theatre. Regular public performances and concerts give students the chance to work together as part of a team, whilst showcasing their own individual talents. Pupils may choose to participate in team sports, such as rugby, football, netball, cricket, hockey or rounders; or hone their skills in individual sporting pursuits, including badminton, trampolining or karate. Sports at Mayville provide everyone with the opportunity to lead a fit and active lifestyle, whilst developing technique and a sense of fair play. Competitions and fixtures throughout the year give pupils a chance to compete and represent the School. Within the broader definition of sport, our chess club gives pupils the opportunity to develop focus, strategy and sportsmanship. For those looking to develop practical skills, we offer activities including cookery, gardening or even building an eco kit-car, with the opportunity to race it at the Goodwood circuit! Our excellent Duke of Edinburgh Award Scheme and St John Ambulance Cadet Unit give pupils the chance to volunteer and make a difference to the lives of other people in our community. Unless stated, all club spaces are allocated on a first-come-first-served basis, with priority given to those already on the waiting list. Please ensure your application is submitted promptly via parentpay to ensure a space. Please note that your child’s place may only be secured once payment has been received. It is not possible to pre-book clubs and all clubs are subject to availability. If a club is full and you wish to join the waiting list please let the school office know. THERE IS A LATE MINIBUS SERVICE TO THE HARD/GOSPORT FERRY AT 5.20PM FROM OUTSIDE THE LIVESEY BUILDING MONDAY TO FRIDAY.